One of the things I hate most about discussing hip hop in 2017 is that EVERYTHING has to be either you're all in or not in at all. And what I mean by that is over the years of doing my podcast I've always proudly wore on my chest that I believe in my heart of heart that Outkast is the dopest hip hop group ever! SO maaaaaaad people are always getting at me like "so you don't like Tribe?" And I'm always like WTF?!?!? Just cause I don't think Tribe is the best group ever doesn't mean I don't like them and EVERY OTHER group in the game! Cause when it comes to Tribe NOTHING could be further from the truth cause at the end of the day I absolutely LOVE Tribe! 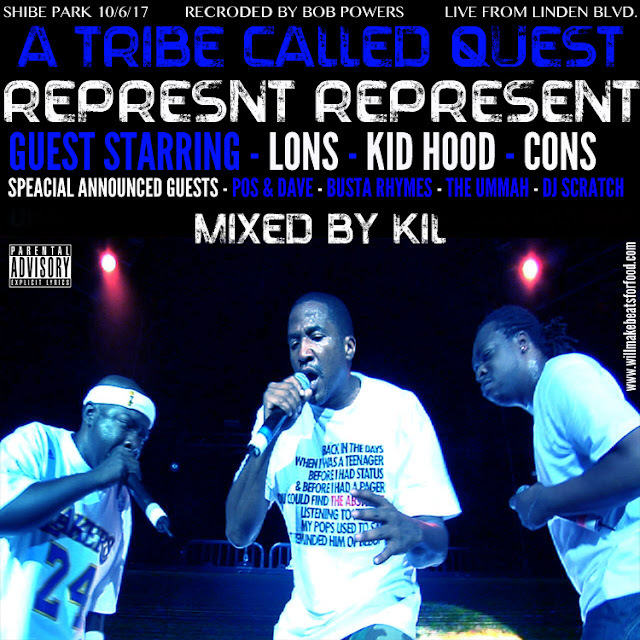 In fact I don't know how anybody could be hip hop and NOT love Tribe. But for all those folk in these internet streets that need it either hot or cold, bang out with my #RepresentRepresent mixtape saluting some of MY personal fave Tribe BANGERS!